Each student belongs to a study programme-specific Study Community. 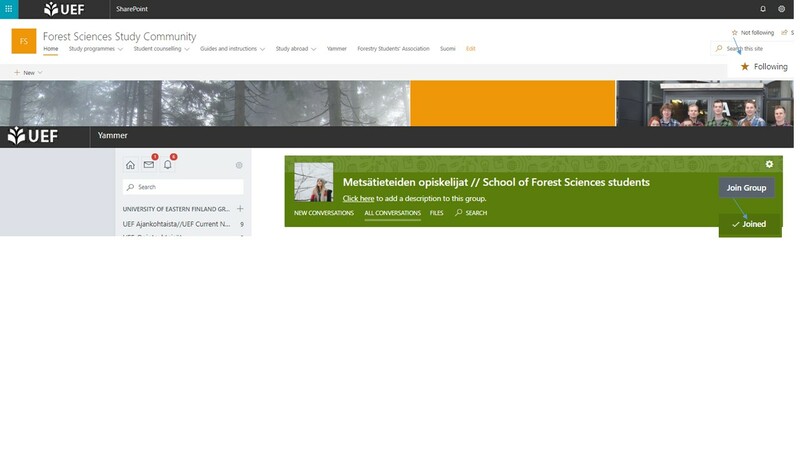 In study communities you will find information on studies and a discussion forum. Study communities complement the general Kamu Student Handbook information with programme-specific instructions such as structure and format of written work. 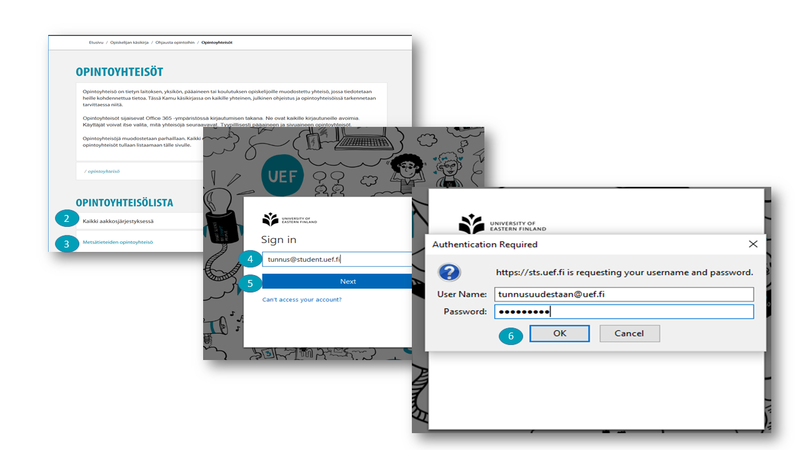 Study communities are built in the Office 365 environment either as Sharepoint workspaces or Yammer social networking service, both of which require a login with UEF username. Study communities are open to all the UEF students and staff members and everyone can choose which study communities they want to join. Typically, students follow the study community of their study programme and, if applicable, study community of their minor studies. 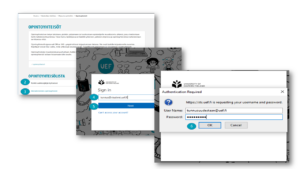 Click Next and you will be directed to the UEF login page. You enter a Study Community. After you have found your Study Community, click Follow to find it easier in the future. Similarly, Join a Yammer group(s) of your choice. See picture below.